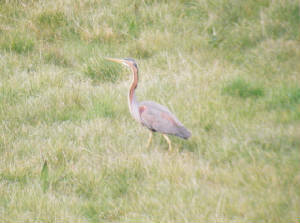 BUNMAHON / SEAFIELD: PURPLE HERON still present, also Green Sandpiper & 3 Swallows. 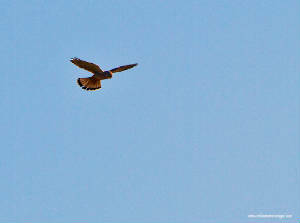 KNOCKMEALDOWN MOUNTAINS: Pair of Hen Harriers displaying. 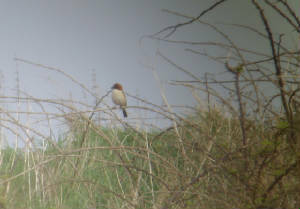 BROWNSTOWN HEAD: Red-legged Partridge, male Blackcap, 2 Willow Warblers, 4 Wheatears, 4 Common Scoter flew W.
BUNMAHON / SEAFIELD: Adult PURPLE HERON (video). 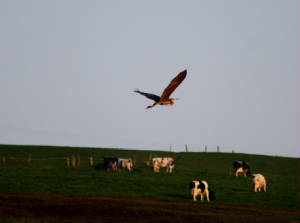 Nr STRADBALLY: RED KITE (untagged). 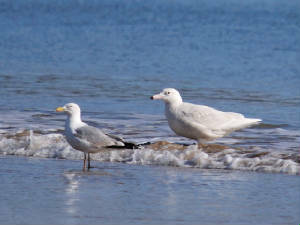 ARDMORE: 2 Iceland Gulls (1st-winter & 2nd-winter) at Curragh strand. 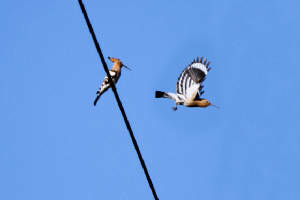 DUNGARVAN: Swallow & House Martin. 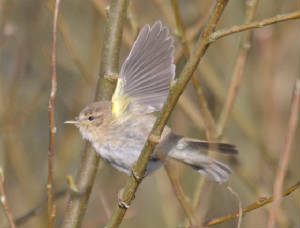 BALLYSCANLAN / CARRICKAVRANTRY: 3 Willow Warblers. 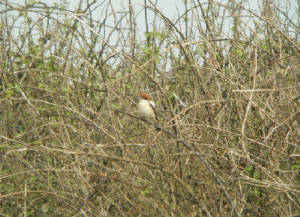 BROWNSTOWN HEAD: Blackcap, c5 Willow Warblers & c5 Chiffchaffs. 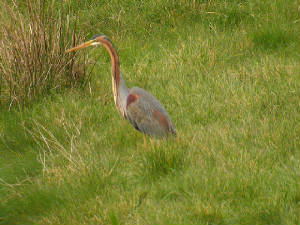 BUNMAHON: Adult PURPLE HERON still present, also a RED KITE (possibly untagged) flew east. 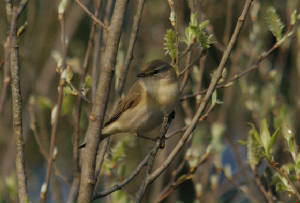 BROWNSTOWN HEAD: *'SIBERIAN' CHIFFCHAFF still present in gardens area, calling frequently (sound-file), also 2 Wheatears. 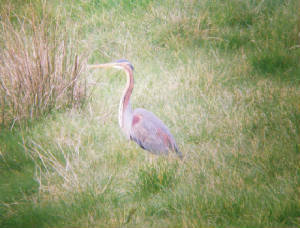 SEAFIELD / BUNMAHON: Adult PURPLE HERON still present, also Green Sandpiper, Willow Warbler & 2 Sand Martins. 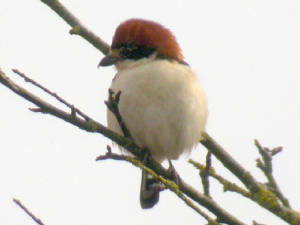 BALLYSCANLAN/CARRICKAVRANTRY & FAITHLEGG/MINAUN: Blackcaps singing in the last few days. 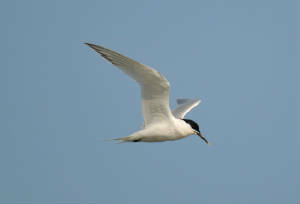 CLONEA STRAND: 3 Sandwich Terns & 3 Great Northern Divers at Ballinclamper. 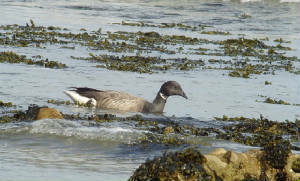 ARDMORE: 5 Common Scoter flew into bay, Sandwich Tern at Curragh strand. 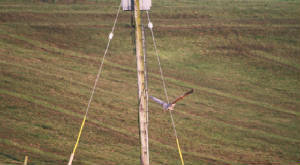 BLACKWATER VALLEY: Swallow at Newport East. 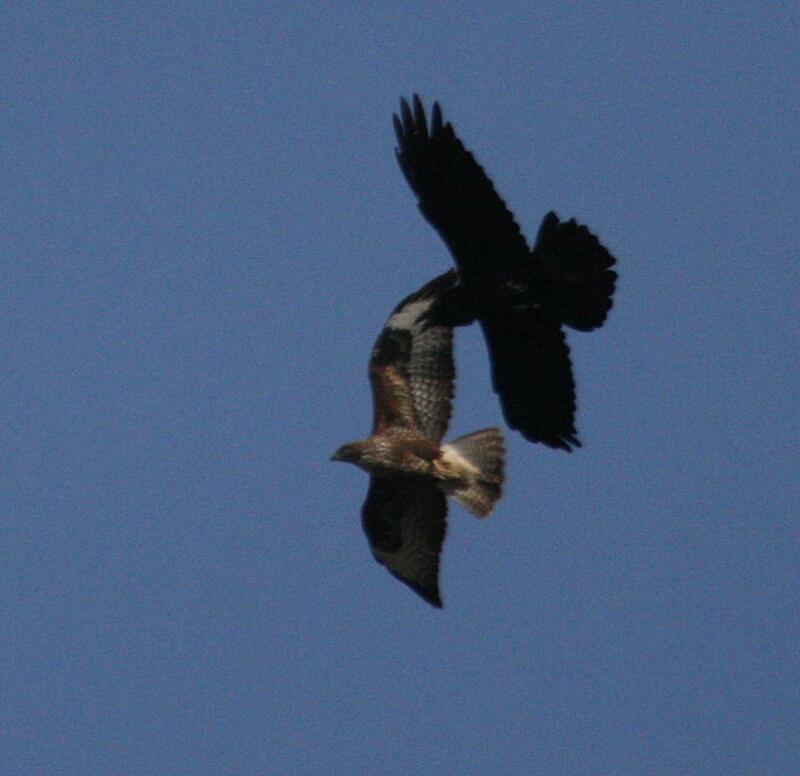 WEST WATERFORD: Pair of Buzzards. 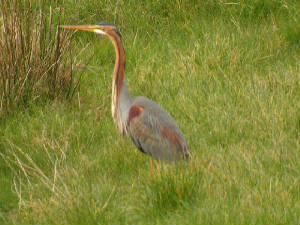 SEAFIELD / BUNMAHON: Adult PURPLE HERON (1st county record) (video & here). 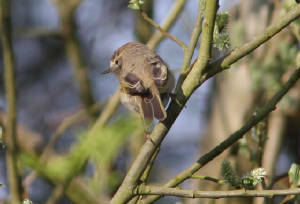 BROWNSTOWN HEAD: *'SIBERIAN' CHIFFCHAFF again in main garden, heard calling today - further details. 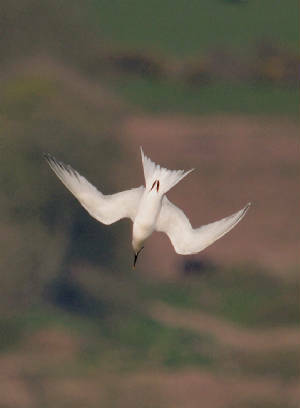 TRAMORE: 2 Sandwich Terns at backstrand. 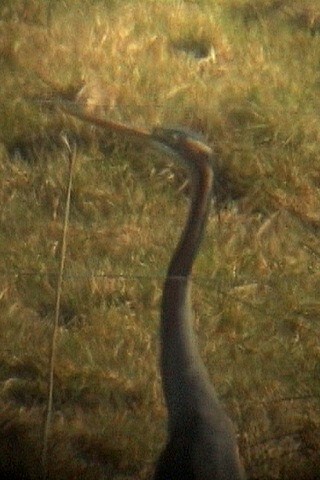 LISMORE: 2 Swallows & 5 Sand Martins at River Blackwater. 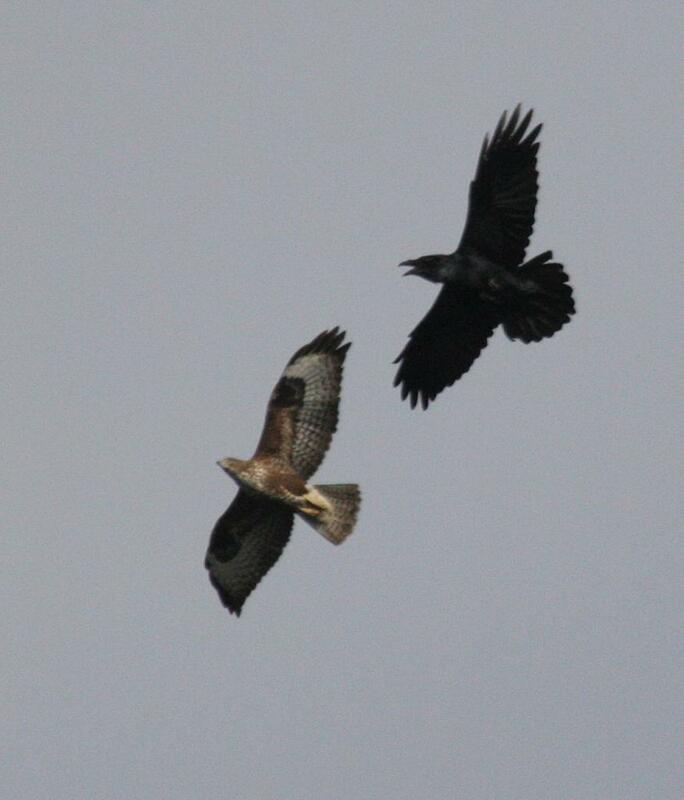 COMERAGH MOUNTAINS: Jay & male Crossbill near Boolabrien Upper. 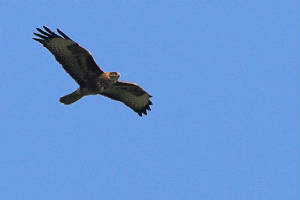 BLACKWATER VALLEY: Female/immature Hen Harrier at Clashmore, Common Seal at Dromana. 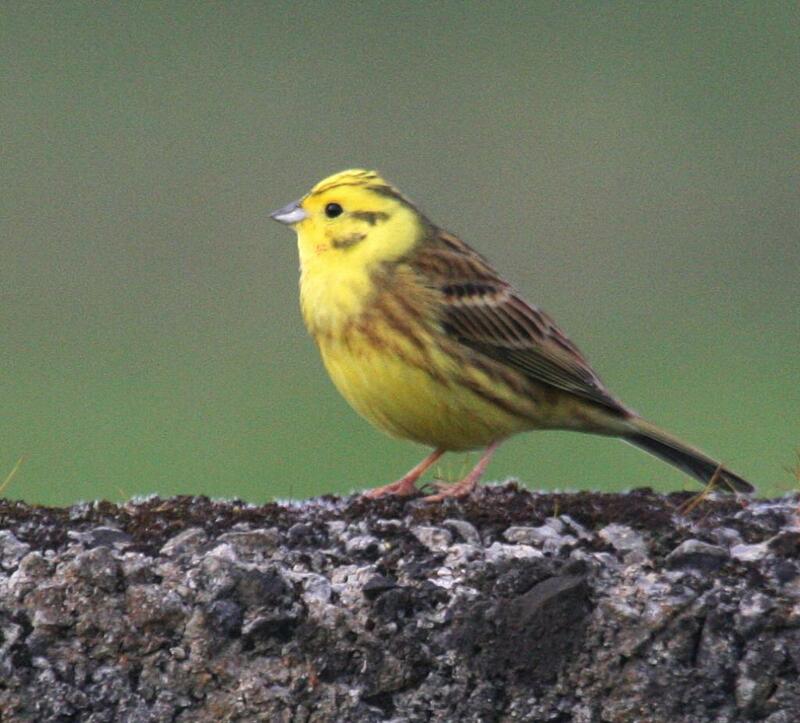 N of LISMORE: 3 Willow Warblers & 20 Redpolls at Moneygorm North, 2 House Martins (1st of year) & Chiffchaff at Carrignagour. 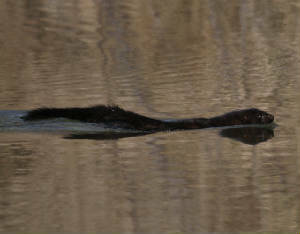 Nr BALLYNAMULT: Red Squirrel eating Blackbird eggs from nest at Power's Cross Roads. 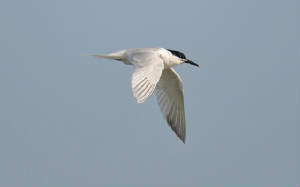 DUNGARVAN: Sandwich Tern at Gold Coast. 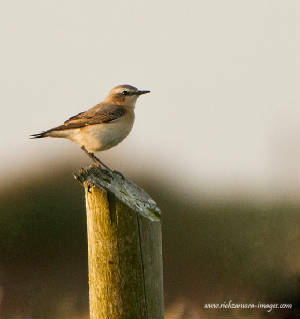 CLONEA STRAND: White Wagtail & Whimbrel at Ballinclamper. 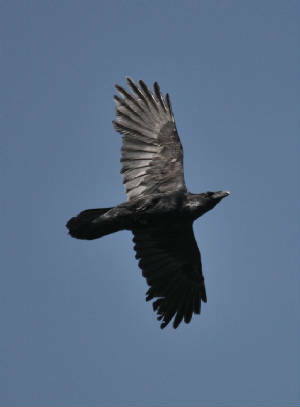 BALLYSCANLON: 5 singing Chiffchaffs & 7 Choughs. 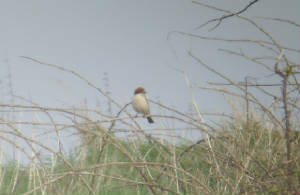 BROWNSTOWN HEAD: Tree Sparrow, Willow Warbler & 3 Chiffchaffs, including 1 *'SIBERIAN' CHIFFCHAFF (not identified until 27 Mar). 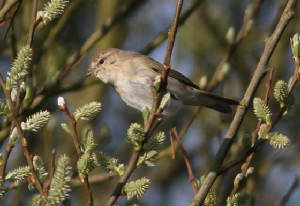 BELLE LAKE: Willow Warbler singing. 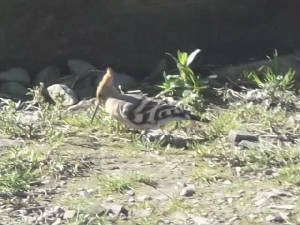 Nr WATERFORD CITY: 2 HOOPOES at Waterford golf course (Co Kilkenny). 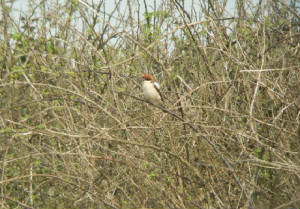 ARDMORE: WOODCHAT SHRIKE (8th county record) (video), 2 Black Redstarts & a Wheatear along Goat Island road. 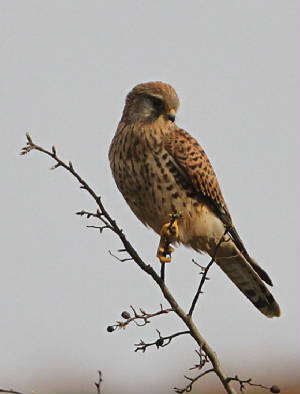 WHITING BAY: 2 Iceland Gulls (1st- & 2nd-winter), female Hen Harrier & 2 Sand Martins. 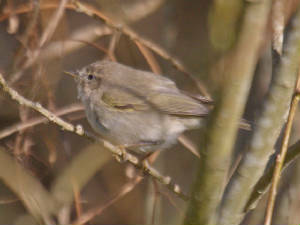 BALLYSCANLAN / CARRICKAVRANTRY: 8 Chiffchaffs. 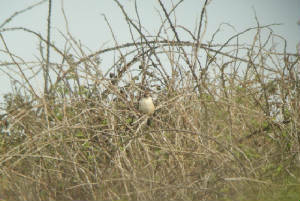 DUNGARVAN: Sand Martin (1st of year). 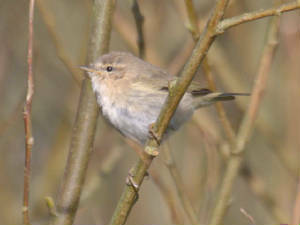 STRADBALLY COVER: Willow Warbler (1st of year) & Chiffchaff singing. 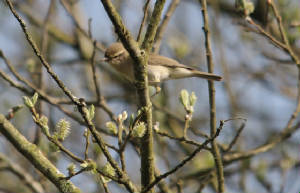 SEAFIELD: Green Sandpiper & 2 singing Chiffchaffs. 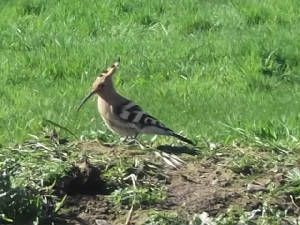 SEAFIELD: Swallow (1st of year) & Jack Snipe. 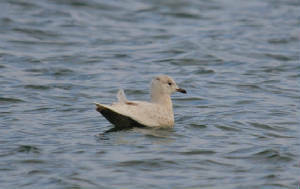 DUNGARVAN: Adult Ring-billed Gull at Ballyneety. 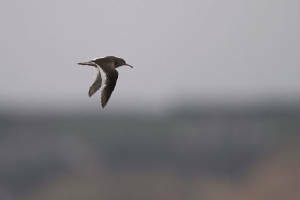 TRAMORE BACKSTRAND: Spotted Redshank at Pickardstown. 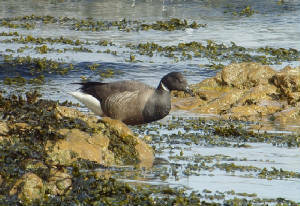 KNOCKADERRY: Female RING-NECKED DUCK & 2 Gadwall. 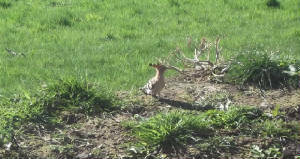 COMERAGH MOUNTAINS: 2 Red Grouse . 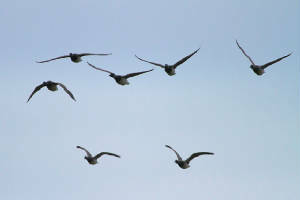 CLONEA STRAND: 8 Whimbrel & 2 Sandwich Terns. 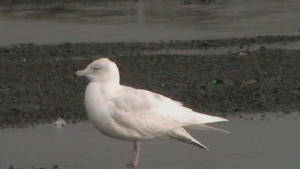 RAM HEAD: 2nd-winter Iceland Gull. 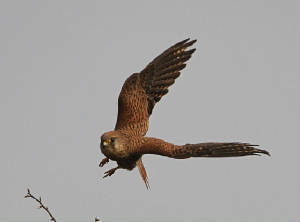 MONAVULLAGH MOUNTAINS: Male Hen Harrier & male Merlin. 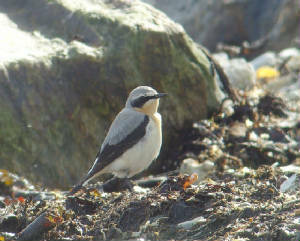 CLONEA STRAND: Common Scoter, 4 Sandwich Terns & 3 Whimbrel at Ballinard. 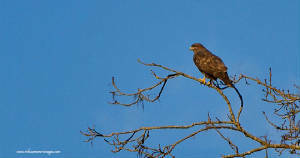 EAST WATERFORD: Buzzards at 2 locations. 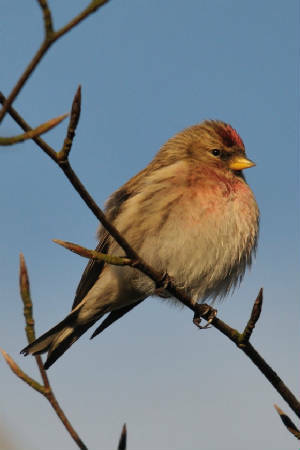 CARRIGNAGOUR (nr Lismore): 60 Redpolls. 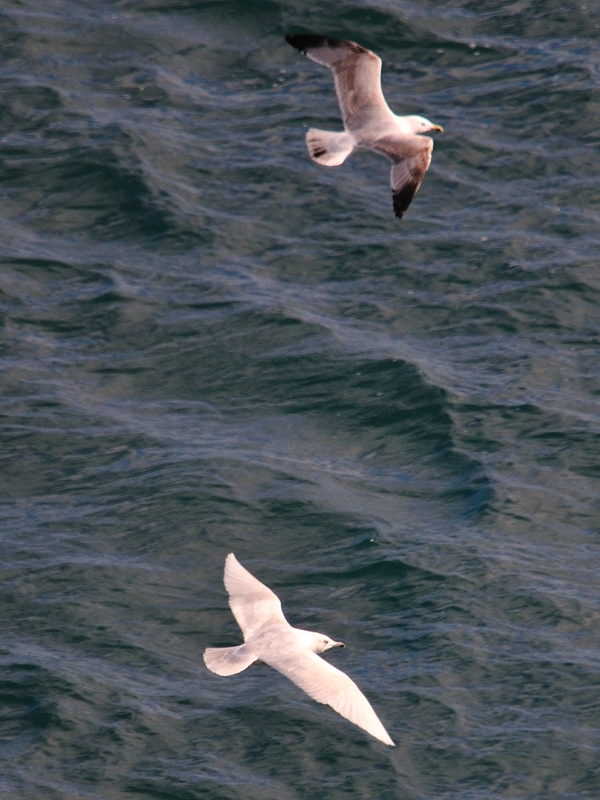 HELVICK HEAD: 2 Sandwich Terns, Common Scoter & 4 Black Guillemots. 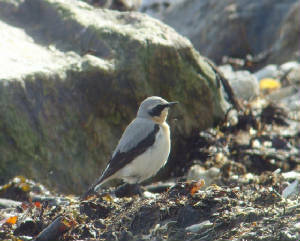 DUNGARVAN: Black Redstart at Ballynacourty pier, 2 Long-tailed Ducks off pier. 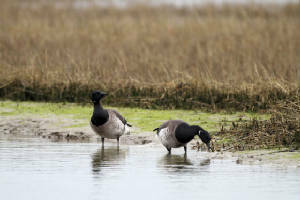 CLONEA STRAND: Dark-bellied Brent Goose, Black Redstart & male Wheatear at Ballinclamper, 25 Choughs at Ballyvoyle. 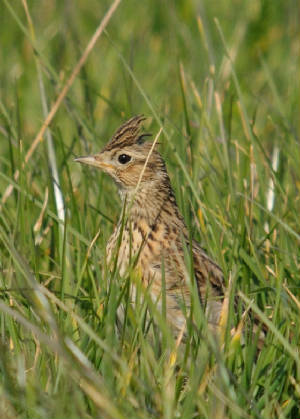 Nr CROHAUN: Flock of 100 Meadow Pipits. 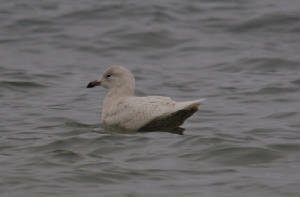 TRAMORE: 2nd-winter Iceland Gull at boating lake. 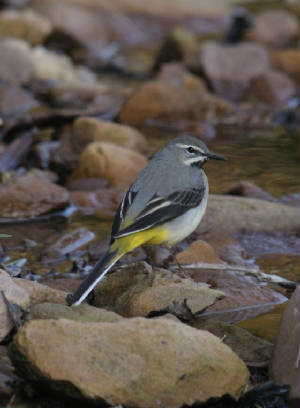 BROWNSTOWN HEAD: Chiffchaff, White Wagtail and 3 Black Redstarts (including adult male). 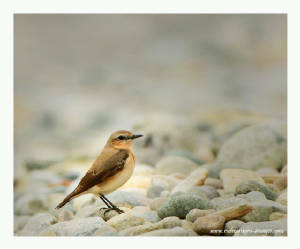 RATHMOYLAN COVE: Black Redstart & male Wheatear. 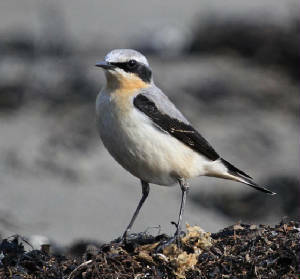 CLONEA STRAND: Black Redstart & 2 Wheatears (male & female, 1st of year) at Ballinclamper. 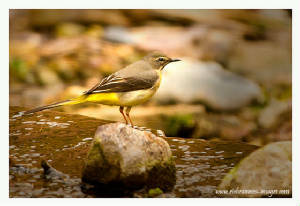 DUNGARVAN: Black Redstart at Gold Coast. 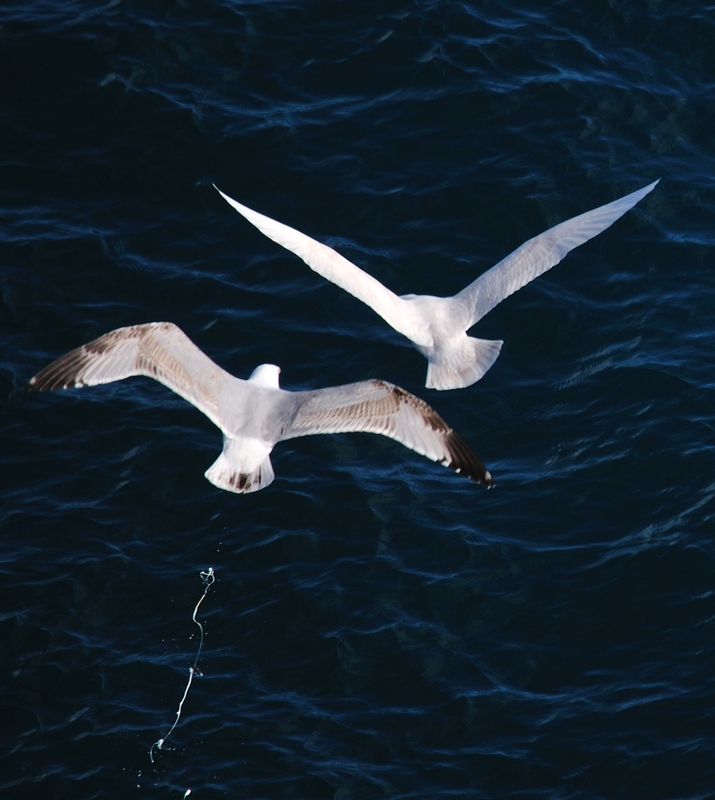 ARDMORE: Sandwich Terns, 1st-winter Glaucous Gull & 1st-winter Iceland Gull at Curragh strand. 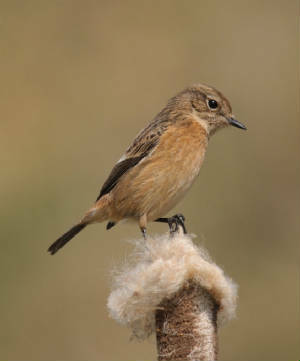 BROWNSTOWN HEAD: Black Redstart & Chiffchaff. 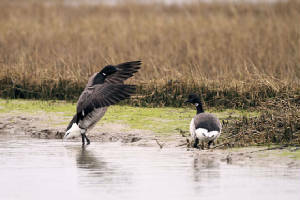 DUNGARVAN: Slavonian Grebe, 2 Long-tailed Ducks & 4 Common Scoter off Ballynacourty, Greylag Goose & Common Seal off pitch & putt course, 4 Red-throated Divers & 4+ singing Chiffchaffs at Meitheal Tra, Ring. 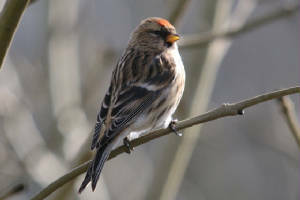 CARRIGNAGOUR (nr Lismore): c20 Redpoll. 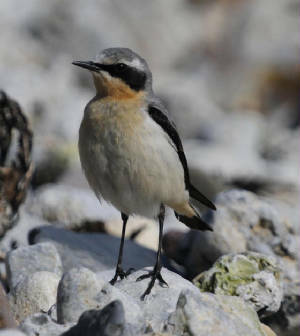 CLONEA STRAND: 2 Sandwich Terns (1st of year) at Ballinard, Dipper at Ballyvoyle. 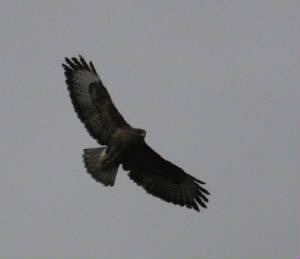 MONAVULLAGH MOUNTAINS: Male Hen Harrier & 18 Ravens. 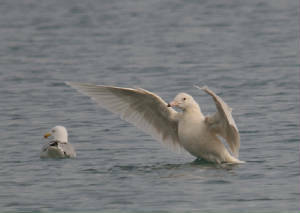 ARDMORE: 1st-winter Glaucous Gull at Curragh strand. RAM HEAD: 50 Common Dolphins. ARDMORE: 1st-winter Glaucous Gull again at Curragh strand. 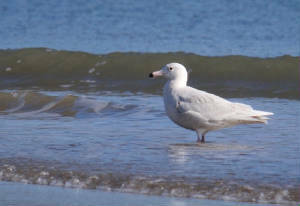 ARDMORE: 1st-winter Glaucous Gull on Curragh strand. RAM HEAD: Fin Whale & 20 Common Dolphins. 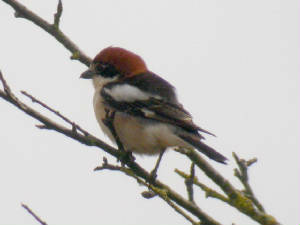 CARRIGNAGOUR (nr Lismore): 100+ Redpolls. 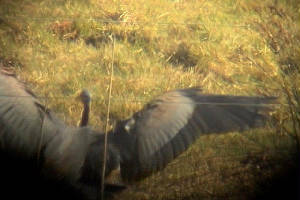 COUMARAGLIN (nr Monavullagh Mountains): 20+ Stock Doves. 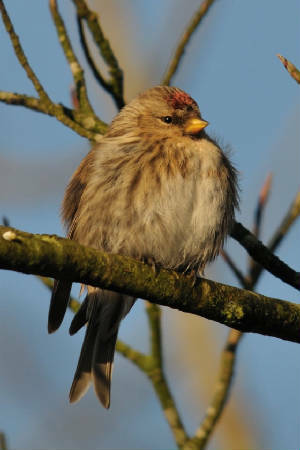 CARRIGNAGOUR (nr Lismore): 53 Redpolls. 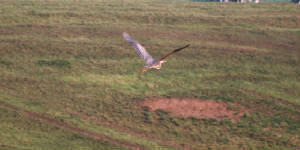 BLACKWATER VALLEY: Female/immature Hen Harrier at Clashmore Broads. 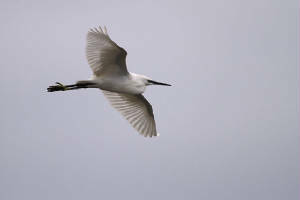 DUNGARVAN: SPOONBILL (video) off pitch & putt course, 2 male Long-tailed Duck & 42 Great Crested Grebes off Ballynacourty pier, adult Ring-billed Gull, 2nd-winter Yellow-legged Gull & 2nd-winter Glaucous Gull at Ballyneety. 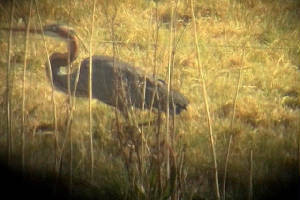 CLONEA STRAND: 9 Great Northern Divers off Ballinard / Ballinclamper, Red Admiral at Ballinard. 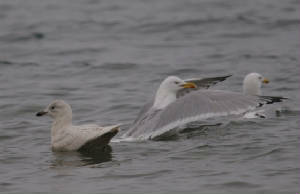 BOATSTRAND: 2nd winter Glaucous Gull. 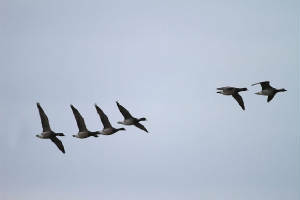 TRAMORE: 4 Gadwall at boating lake, Gadwall & shoveler at Lisselan, 560 Lesser Black-backed Gulls in backstrand. 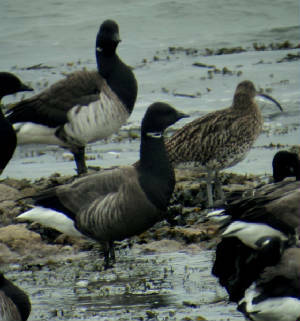 CLONEA STRAND: Adult Dark-bellied Brent Goose & Purple Sandpiper at Ballinard.